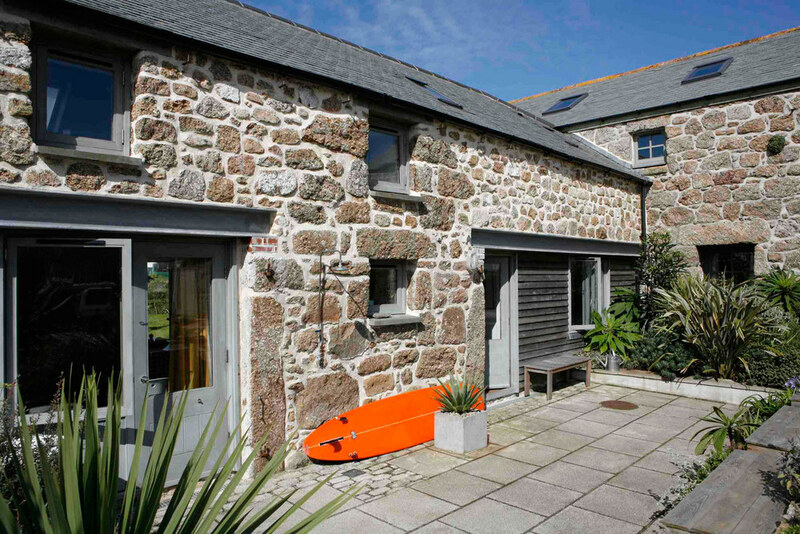 The conversion of a redundant Cornish granite barn into two dwellings located on the edge of a small hamlet near Sennen Cove. 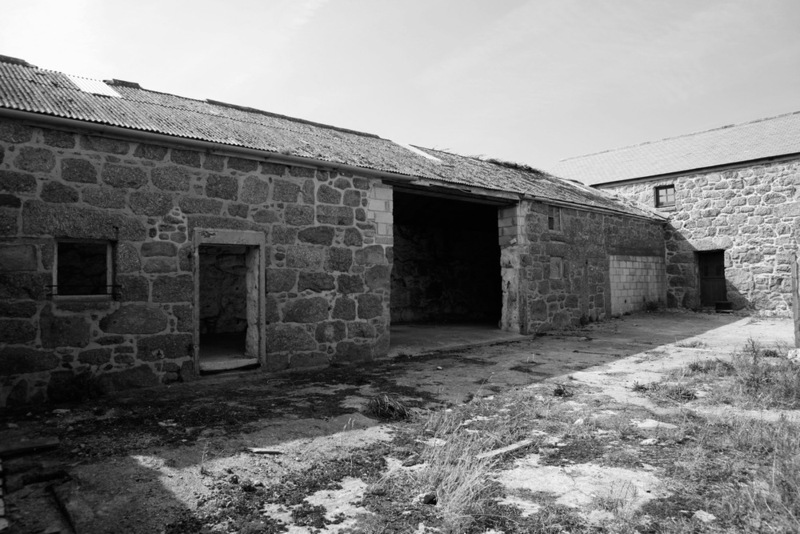 Our client bought the site with an existing planning consent for single storey accommodation. 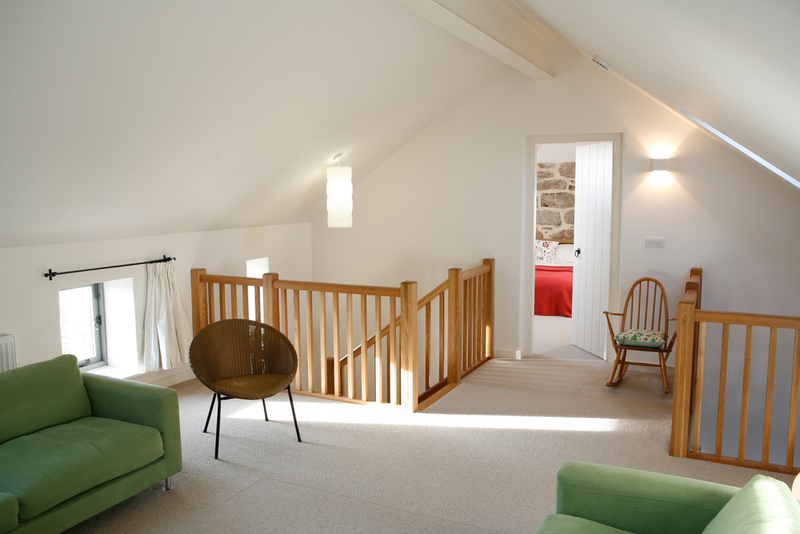 We redesigned the scheme and obtained a new planning consent doubling the floor area with the addition of a first floor. We achieved this through the manipulation of levels and roof line with little discernible change to the character of the original building. 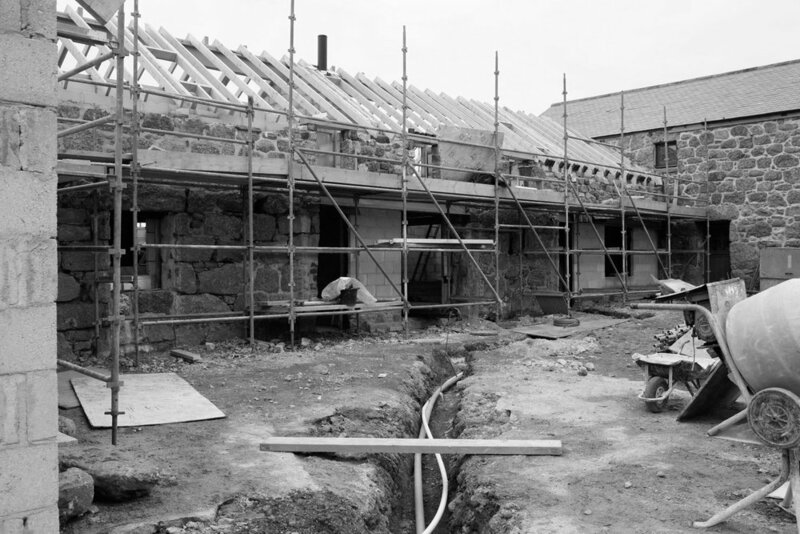 Natural materials have been used extensively to provide a healthy, low maintenance and low impact development. 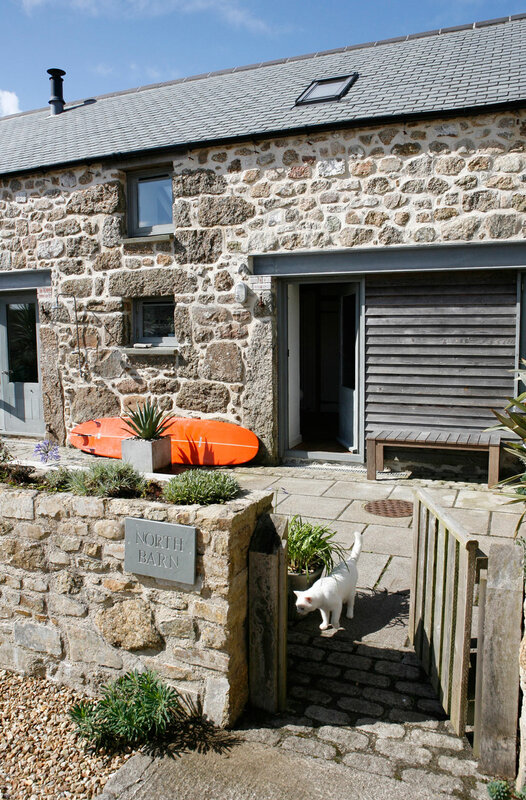 These include oak ground floors, oak stairs, slate roof covering, granite walls with lime mortar, douglas fir windows, doors and external boarding. Traditional Cornish hedges have been constructed and planted to the south and west facing rear garden providing enclosure and shelter.